In 2009, Terry Herbert, a resident of the Hammerwich village in the Central England, discovered gold that went down in history as the Staffordshire hoard. The jewelry searcher scanned his friend’s field with a metal detector and came across valuable items that were buried 1300 years ago. In the photo: Terry Herbert on the "golden" field, near Staffordshire. 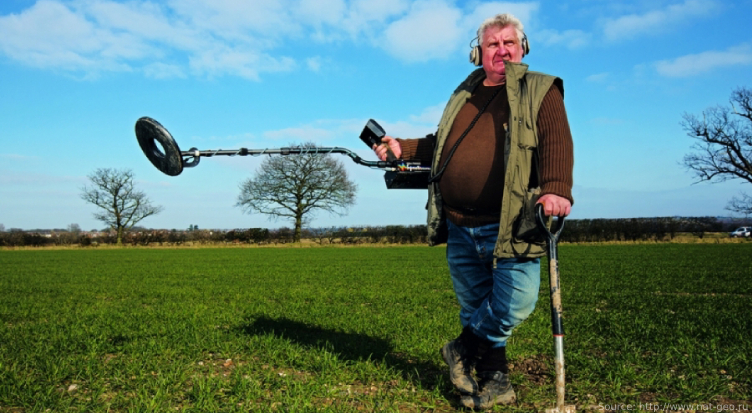 In 2009, his discovery gave rise to the frenetic demand for metal detectors in England. 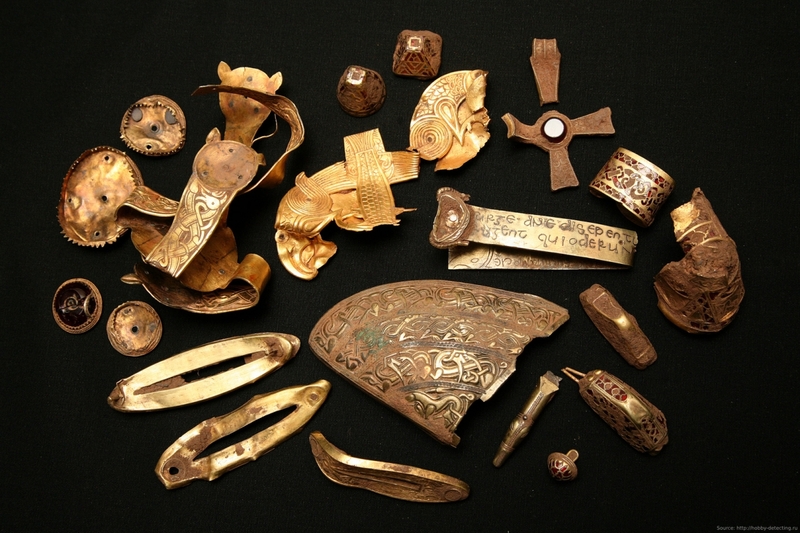 The treasure consisted of 3500 pieces of precious objects, which, according to archaeologists, supposedly belonged to the leaders of the Anglo-Saxons. 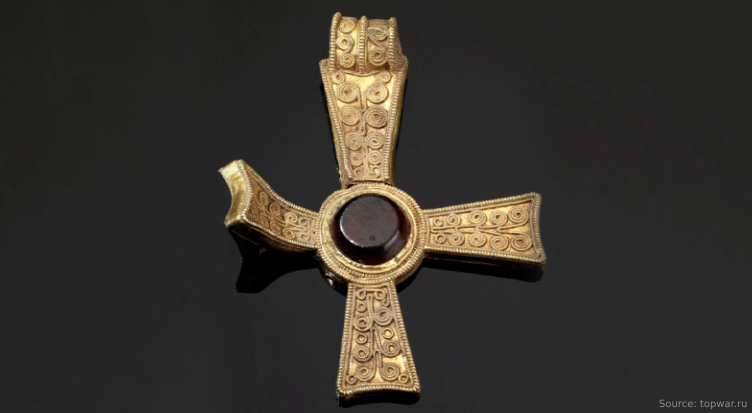 All the valuable items, with the exception of the three gold crosses, had the connection to medieval weaponry of the noble Christian knights. Specialists calculated that their squad consisted of 92 people. The discovery was dated VII century. In the photo: The Staffordshire discovery contained 5 kg of gold, which exceeds by 1,5 kg the famous Anglo-Saxon hoard of Sutton Hoo, found in 1939. Herbert sold the jewelry to the museums of Birmingham and Stoke-on-Trent for £3,285 million pounds. The lucky fellow split the money with the landlord. Currently, the galleries take turns to showcase the treasure to the public. In the photo: The lower part of the golden helmet in the Birmingham Museum and Art Gallery. This discovery was the largest discovery in the history of the British Middle Ages archeology. The media wrote about this event, and the National Geographic TV channel made a documentary. An impressive part of the hoard was composed of gold swords and its pieces: the pommel and the hilt straps. Also, Terry Herbert discovered elements of a gold helmet and animal figures. Blades were not in the burial, there were no women's jewelry and no coins. This indicates that Staffordshire hoard is a no ordinary accumulated jewelry, and not the prey of robbers either. What kind of treasure is it? - A young warrior whose remains were found next to gold, perhaps, was the leader of the army. The vassals removed their jewels from their weapons and buried it with the deceased lord. In such a way, the knights paid tribute to the commander. - It is possible that the winners removed gold jewelry from the swords of their opponents and broke them, fearing Christian symbols. 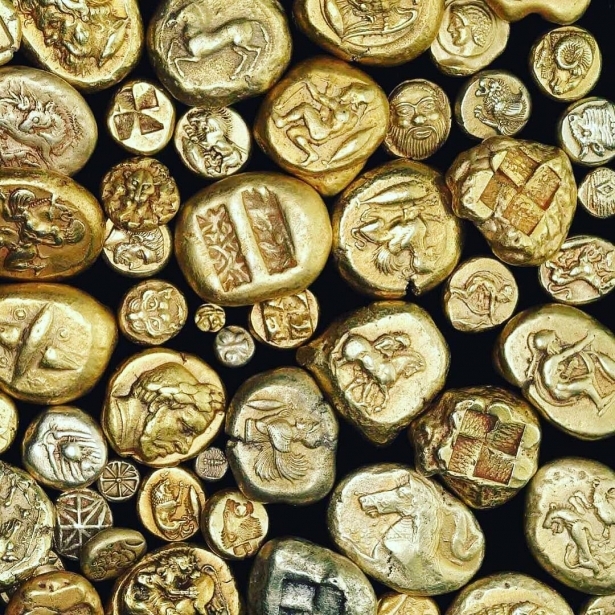 The pagans buried their bodies away from gold, so that dead warriors could not use them in the afterlife. In the photo: The equilateral Greek cross has a ring. Perhaps it adorned the medieval Book of Gospels or was worn on the priest's finger during the services. 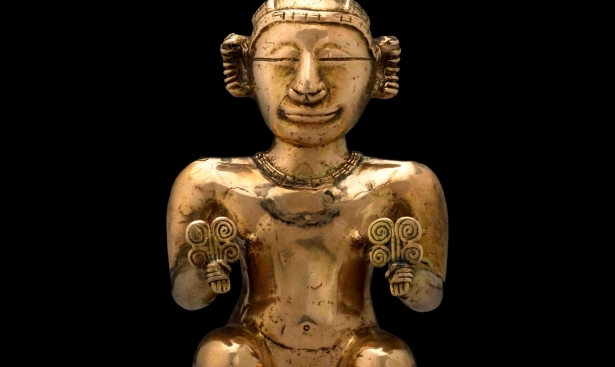 In March 2012, archaeologists found 91 gold objects on the field, 81 of which were recognized as part of the 2009 hoard. 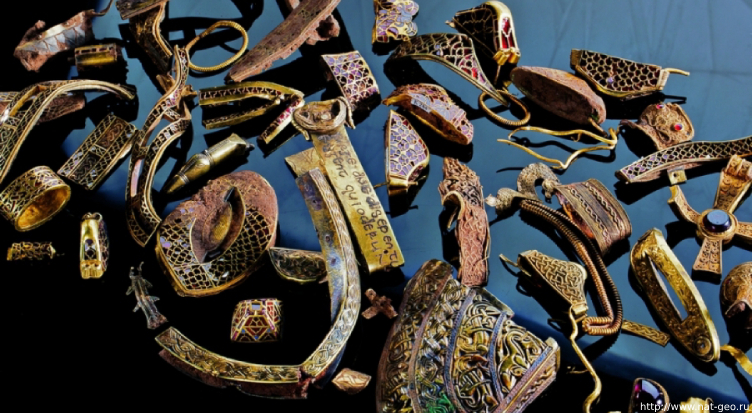 All items of the treasure hoard were found damaged or bent. Employees of the museums carry out their daily work on the restoration of jewelry, but despite this, the purpose of 333 fragments is still unknown. The process of identification is similar to assembling a puzzle with the only difference - the final picture is not known. 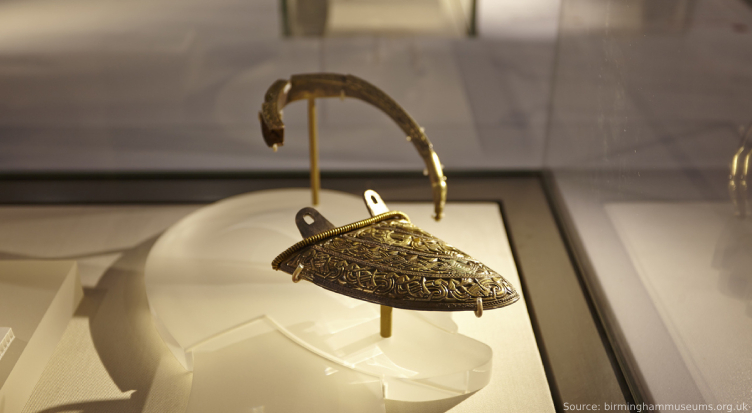 Scientists learned a lot about the Anglo-Saxon period of Great Britain thanks to the Staffordshire hoard. 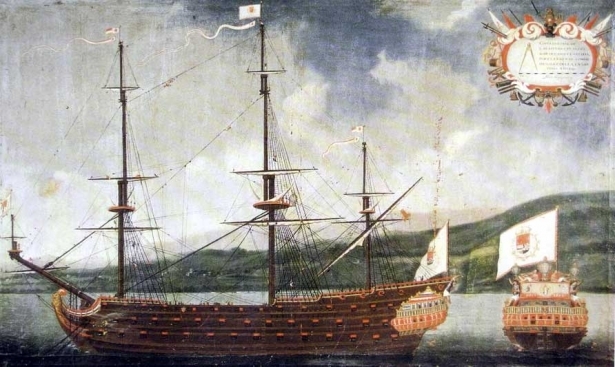 But the main question is still unanswered: nobody knows who owned the gold, and who hid the treasure hoard 13 centuries ago.